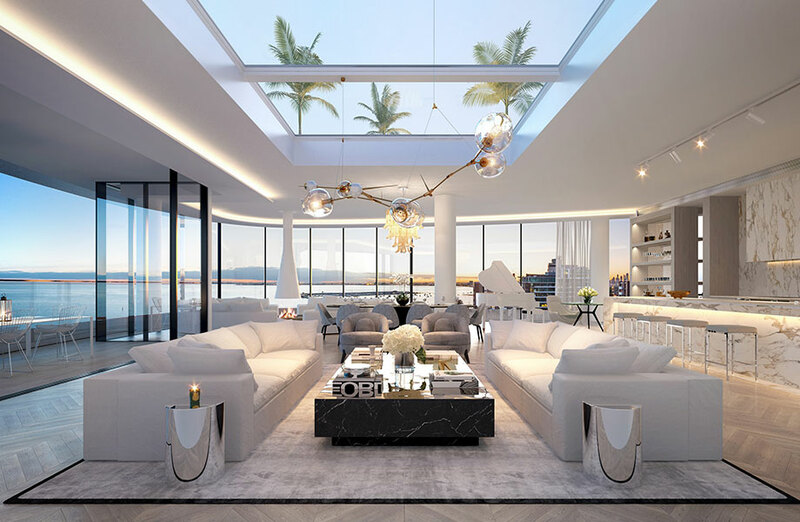 Tim Gurner has secured $78 million worth of sales across five penthouses in his St Kilda-based Saint Moritz project, proving there’s still strong demand for high-end offerings in the luxury residential sector of the market. 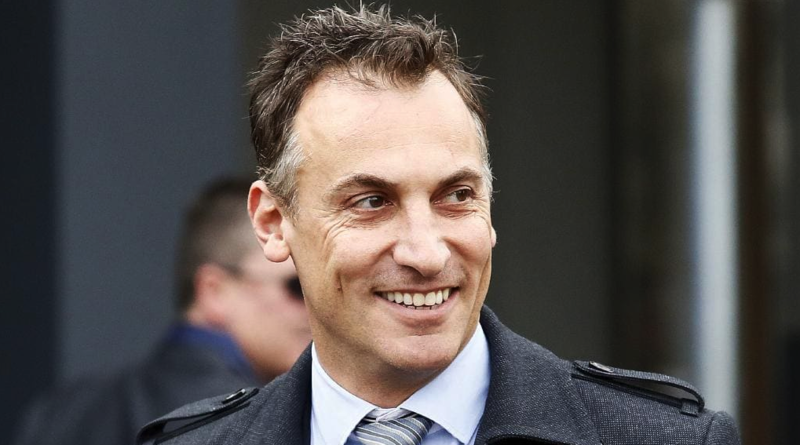 The sales follow the record-breaking $30 million penthouse sale to ex-Domain boss Antony Catalano who emerged as the buyer of the full-floor seven-bedroom residence in February, known as Melbourne’s most expensive apartment. Gurner said Melbourne’s wealthy emerged as buyers of the multi-million-dollar properties, rumoured to include cricketer Shane Warne as one of the buyers, as he described the appetite for penthouse offerings as “insatiable”. “Within 36 hours we had multiple parties bidding on five of the penthouses,” Gurner said. Penthouse living at Saint Moritz: All buyers were well-known local business identities who currently live within 1.5km of the project and Toorak. To kick off construction, which is earmarked for later this year, the developer needs to sell approximately 60 per cent ($330-million) of apartments in the $550 million development to unlock the project’s finance. Something Gurner is confident about, with the project set to officially launch in the coming months. “We have been blown away by the response to our limited penthouse collection release,” Gurner said. In 36 hours, two penthouses sold for $19 million, along with two penthouses priced between $15.5 -$17 million, and one sale for $9 million. Saint Moritz will offer a total of eight penthouses, five of which have sold, with Shane Warne rumoured to be joining ex-domain boss Antony Catalano as a buyer. About a month ago Gurner approached a list of key business and real estate identities with an exclusive invitation to view the penthouse offerings prior to the scheduled public launch. “Our strategy for releasing the penthouse collection first was all about providing our buyers with the opportunity to custom design their residence from the ground up, so the remaining floorplates will be designed around these penthouse offerings,” Gurner said. • A $16 million sale at Grand Esplanade Penthouse One. Approximately 400sq m with rooftop pool and terrace. • A $19 million sale at Grand Esplanade Penthouse Two. Approximately 480sq m with rooftop pool and terrace. • A $19 million sale at Grand Esplanade Sub Penthouse. More than 550sq m with terrace. • A $15 million sale at Pacific House Penthouse One, with more than 380sq m with terrace. • And Azura Penthouse One: A $9 million sale, the residence offers more than 330sq m with terrace. 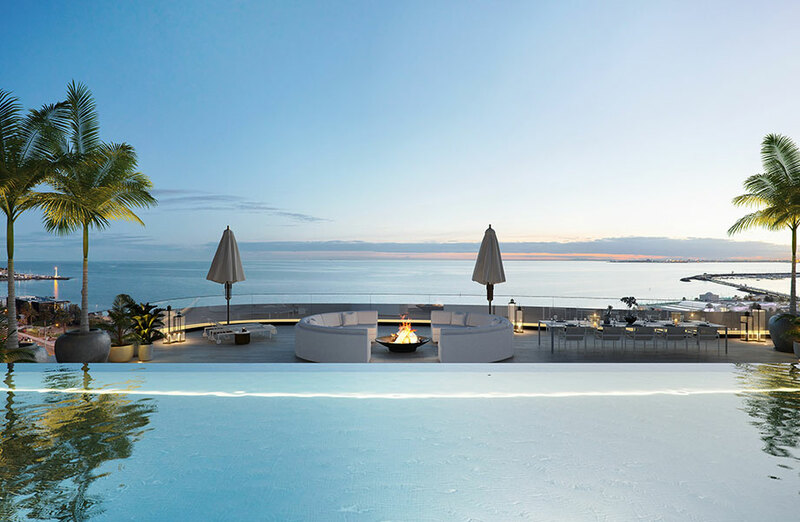 A rooftop pool will hang into the living room of one of the new St Kilda penthouses. Penthouse features include internal pools that submerge into the rooms below, private steam rooms, private art gallery spaces, solid marble joinery and bench-tops, floating marble fireplaces and Nero Marquina bathtubs which offer 180-degree water views of the St Kilda waterfront location. The 6,000sq m St Kilda site, located at 14-16 The Esplanade, is owned by Sydney property developer Greg Shand, who partnered with Gurner to replace the existing Novotel Hotel. Plans will see it transformed into three 8-storey towers. When complete, the Saint Moritz development will offer 120 residences offering a mix of two, three four, five and six bedroom dwellings, with prices ranging from $1.4 million to $30 million-plus.